Concessions are available to anyone not in full time employment. To book tickets over the telephone please call the New Diorama Theatre Box Office on 0207 383 9034. Same old story. 'Boy' doesn't meet 'Girl'. 'Girl' doesn't meet 'Boy'. Threatened by gangs, but not as you might know them. Mum and Dad have declared war. Neighbour causing trouble in the building opposite. Usual ordinary gloominess. Then, one day, it snows… and everything changes. 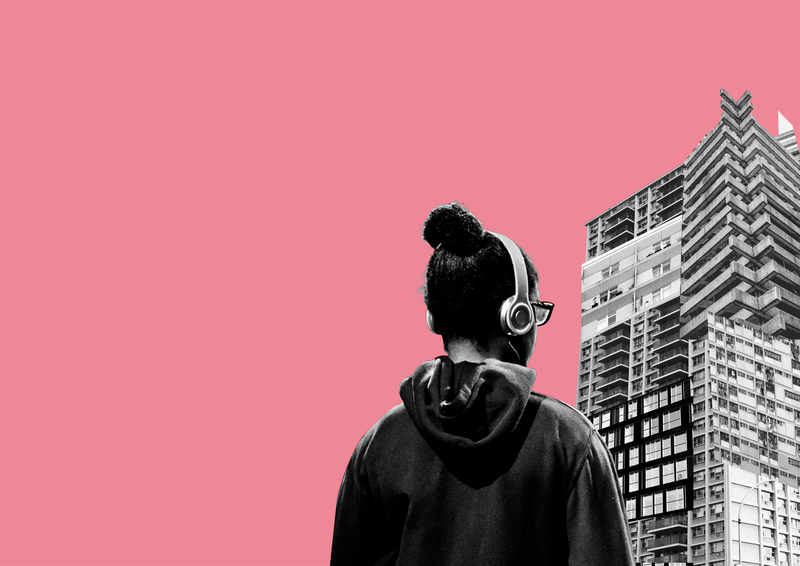 Expect their signature brand of inventive performance, physical theatre, original music and some serious talent as Camden Youth Theatre take you into their own world in this timely re-imagining of Bryony Lavery's National Theatre Connections hit. If you can't make it on either of these dates you can see the show at Camden People's Theatre on Sunday 12 May @ 5.30pm or Monday 13 May at 7pm. On Sunday 12 May the performance at CPT will be followed by a post-show talk with the company and Director (Gemma Rowan) all about making theatre with Youth Companies. On Monday night at both venues, before IT SNOWS begins, there will be a short curtain-raiser performance by Camden Youth Theatre's Friday group, Directed by CYT alumni Anais Lone (as part of CYT's new alumni mentoring programme). This production is supported by John Lyon's Charity, Mercers Charitable Foundation, British Land PLC and Old Diorama Arts Centre. New Diorama Theatre and Camden People’s Theatre have joined forces to set up a brilliant new Youth Theatre. Camden Youth Theatre (CYT) introduces local young people aged 13-19 to the skills they need to make their own inventive new theatre. They work with top professional theatre makers, creating new shows and performing at two of London’s best studio theatres. In 2018 they were invited to present their production NOISE at the prestigous Chrysalis Festival in Scotland - a platform for young theatre makers across the UK. DID YOU KNOW? Camden Youth Theatre doubled in size in 2019 and we now run TWO weekly sessions - one on a Monday and one on a Friday. If you are 13-19 and want to join CYT, we will be auditioning in June for new members. Email [email protected] for more info.